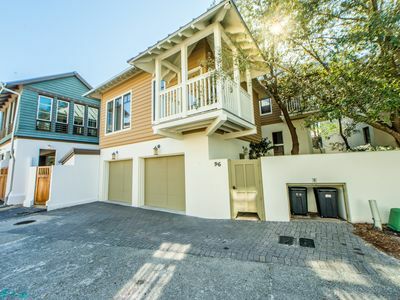 Paradise30A~ Mistral 21, Beachfront, Close to Rosemary and Seaside! 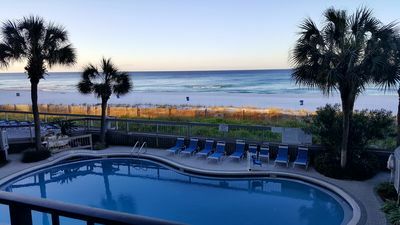 Book now for Summer 2019! 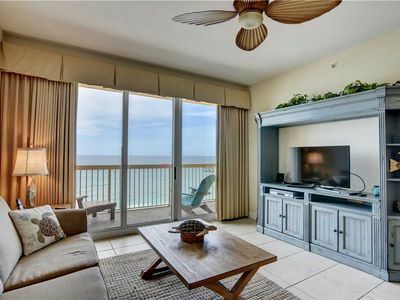 Be ready to wake up to the sound of the gentle surf and gulf breezes when staying at this beautiful 2 bedroom/ 2 bathroom gulf front condo! 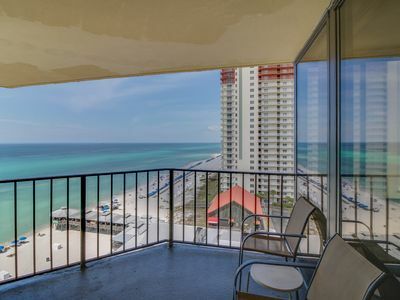 This unit has gorgeous gulf views & adjacent beach access to white sand beaches only steps away! 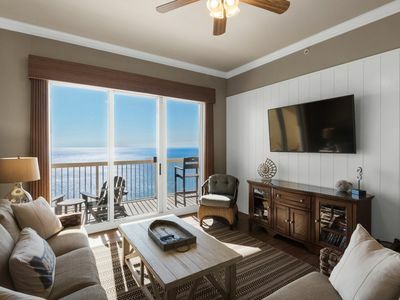 The decor is beach contemporary with beach tones & accents, which gives off a tranquil atmosphere when sitting in any room in this lovely condo. 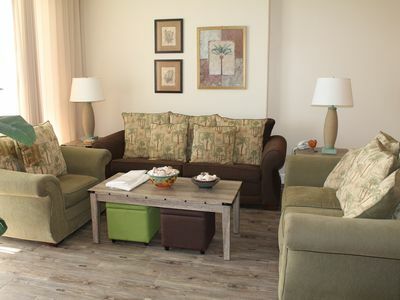 The vast array of colors of emerald green - blue waters and sandy beaches is carried throughout -further allowing you to relax and enjoy your serene beach vacation. 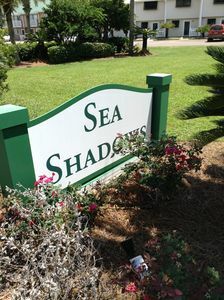 Located in quiet Seagcrest Beach, the condo is secluded from excess noise & traffic, but only minutes away from entertainment, fine dining, & some of the finest golf courses in the South. 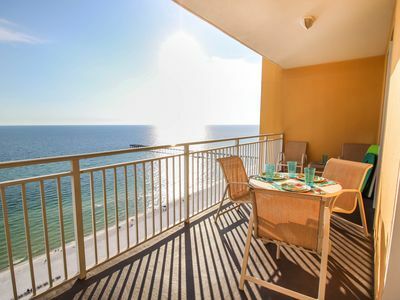 Appreciate the peaceful panoramic view from your private balcony with a cup of coffee or watching the sunset daily with your friends & family while enjoying a casual cocktail. 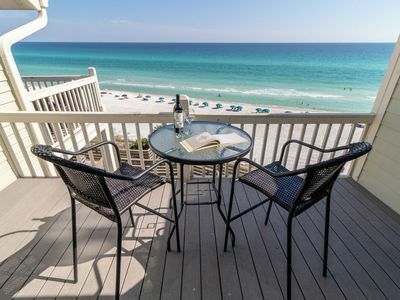 Plan your stay and enjoy concerts, art exhibits, & wine festivals in nearby Seaside; shopping at quaint shops or at nearby Silver Sands Designer Outlet Mall in Destin. 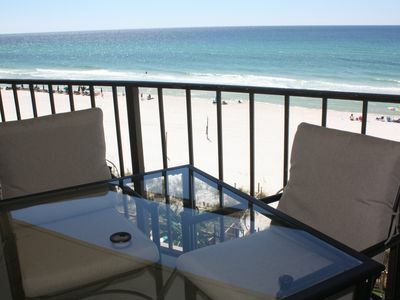 This condo is just minutes from the new "The Hub on 30a" gathering place for family & friends on beautiful Highway 30a. 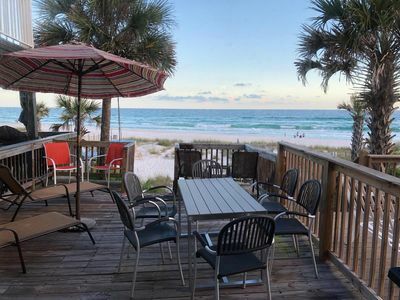 Pier Park is 20 minutes away and has additional great shopping, eating places, live music, an amusement park, and entertainment for all ages! 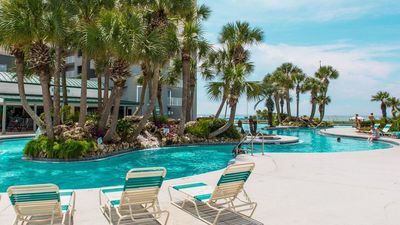 Edgewater Beach Resort. 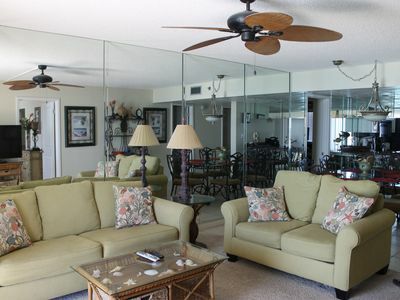 2nd Floor overlooking the pool. 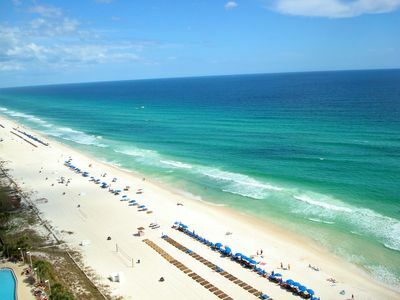 OCEAN FRONT!! 5 Star! 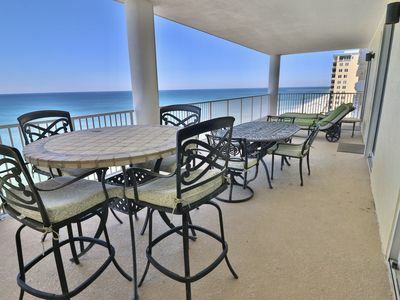 Premium Calypso Penthouse With Beach Loungers & VIP Parking Space! 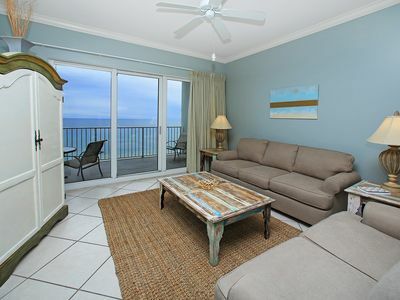 NEWLY UPDATED BEACH FRONT GETAWAY @CALYPSO! 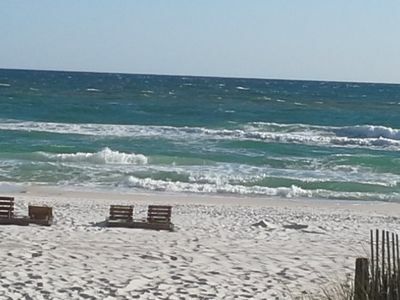 FREE Beach Chairs! ACROSS PIER PARK! 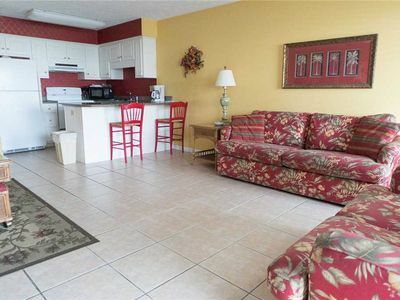 FRONT ROW BEACH CHAIRS INCLUDED! 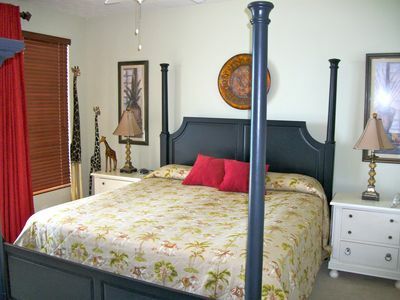 Affordable rates! 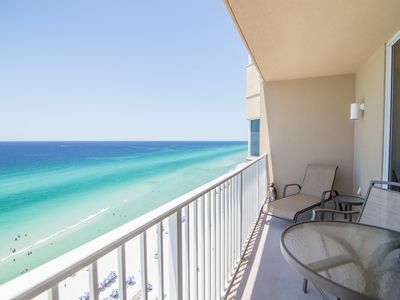 Gulf-front penthouse condo w/ ocean views, shared pool & hot tub + beach access! 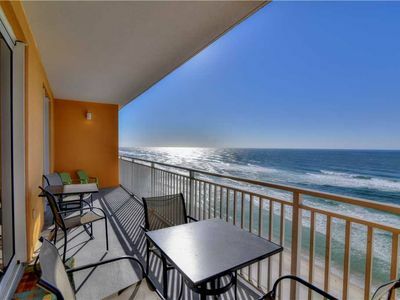 Ocean Ritz 4BR 4BA Directly on PCB!! !